Riv. Live Smart. A limited collection of 48 condominium homes located in downtown Walnut Creek. Riv. is perfectly situated within a short walking distance from the Walnut Creek BART station and easily accessible to all of the wonderful amenities Walnut Creek offers: shopping, dining, entertainment, parks, and much more. Riv. 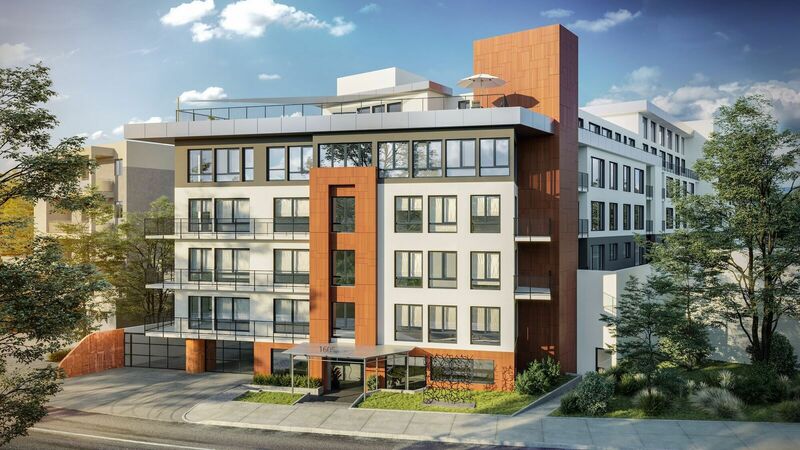 offers a wide variety of home types including 1- and 2-bedroom flats and 2-level penthouse lofts, ranging in size from approximately 550 sf to 1900 sf. The Euro-styled homes provide efficient layouts with contemporary design features and fixtures. Clubroom and lounge area with seating areas, refreshment bar, and high-speed gigabit internet. Courtyard - with gas fireplace, tables and chairs. Conveniently accessible to all of the wonderful amenities Walnut Creek offers: shopping, dining, entertainment, parks, and much more.